Sometimes is just stinks being Gluten Free. How many times do you go to parties or events where food is served and everyone is eating scrumptious desserts and you get the veggie tray? Not that veggies are all bad, they are yummy too, but everyone else is eating cake. You want cake too. Here is the answer! Made and written by my allergy ridden child. over and over again because it was so simple and good. The recipe is so simple. However, it does call for Almond milk and I am allergic to almonds, so we used normal cow milk then recipe called for Hershey’s cocoa powder, but there is another brand my mom REALLY likes called SACO’s Premium Cocoa, so I used that. We just followed all the other instructions exactly the same after that. Abbey used the the cake for a church activity she attended where they were making no bake peanut butter cookies, she is allergic to peanuts too, so she made this cake just minutes before she left for the evening. It was great because I didn’t have to do anything to help. She knows enough about cooking, and the recipe was simple and quick, no prep needed. Sometimes I feel like I spend so much time cooking for her so she can go attend whatever it is teenagers to do (and food is always involved). But with this I can put the ball in her court, and she can whip it up quick, go and have fun and feel like she gets a treat too. 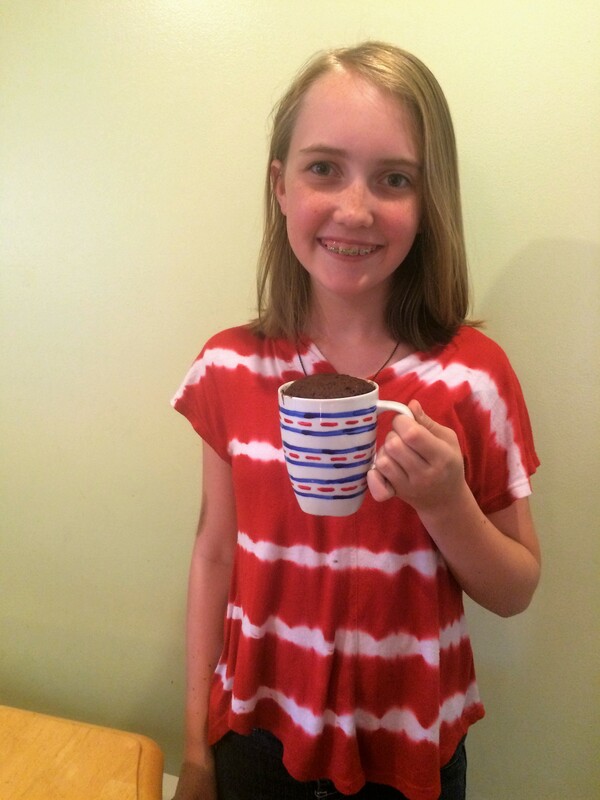 Oh and here is a bonus – only one small dish to wash (the mug). Abbey added frosting to the top and sprinkles, just to finish it off. She loved how easy and yummy to cake was. And it was huge, all the way to the top of the mug! 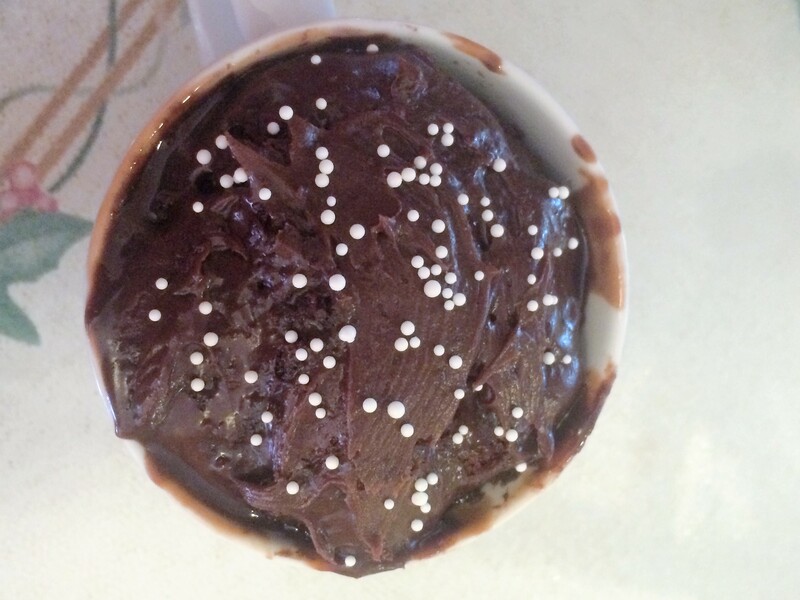 This entry was posted in Gluten Free Recipes and tagged Bisquick, Chocolate Cake, Gluten Free Recipes, Mug Cake, SACO's Premium Cocoa, Single Serving cake. Bookmark the permalink. Sounds delicious! 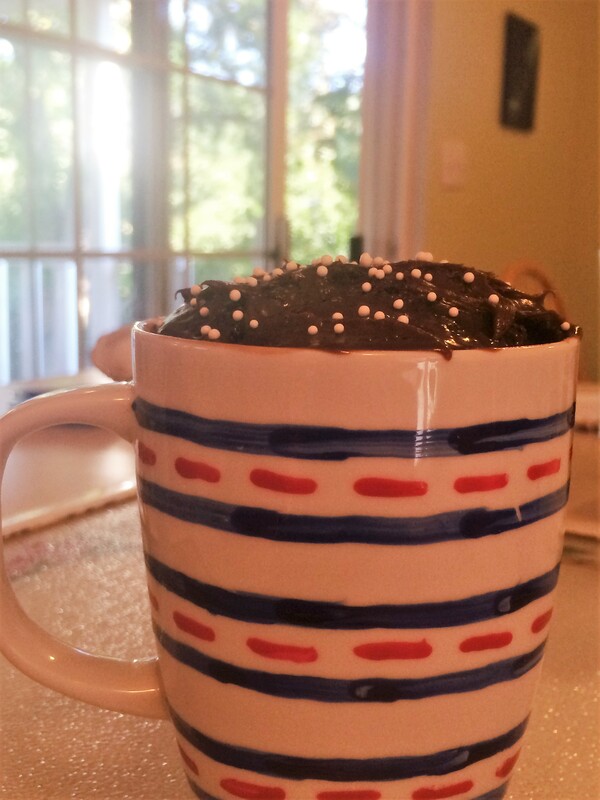 I love the whole mug cake concept. No mess in the kitchen, and still cake. What could be better! No mess us certainally a bonus! We were surprised how hood it was. I mean good, not hood.